Nohl Rosen of Scottsdale, Arizona, is the proud owner of Cat Galaxy, an Internet radio and TV station catered specially for cats (and their owners too). 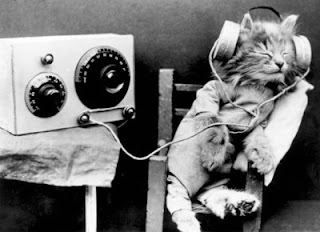 Running for a strong nine years, the station has radio shows like Morning Meows, Meow Mixing Monday and Friday Night Feline Frenzy. Most of the music from this station is ‘feline-approved’, ranging from Jazz to R’n’B . Plus, the station features interviews with various veterinarians and pet-owners as well. Oh, and the station’s manager is none other than Rosen’s own pet cat, Isis. Even the assistant manager and the program director are cats.